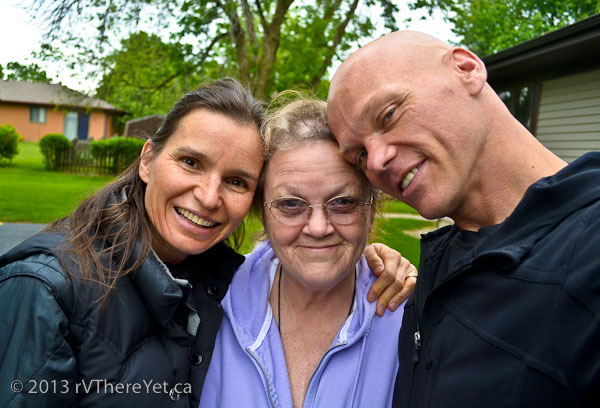 Leaving our amazing and dear friend Barbie June in Illinois (after a few days of hanging just west of Chicago with her), we made our way eastward towards Jackson Center Ohio, home of the Airstream birthplace. Of course, deciding to take the road less travelled offered up many cool opportunities to reflect, sightsee and enjoy the slower pace. We chose to start a list of the unique things one does not see on the Interstae. I am hoping that this is a trend which we can establish on this blog for each and every state and province that we drive through. Sound like a plan? Whoa! There’s a dropzone in Fort Wayne Indiana, right along Route 20 (Angola Airport West of US 69)! 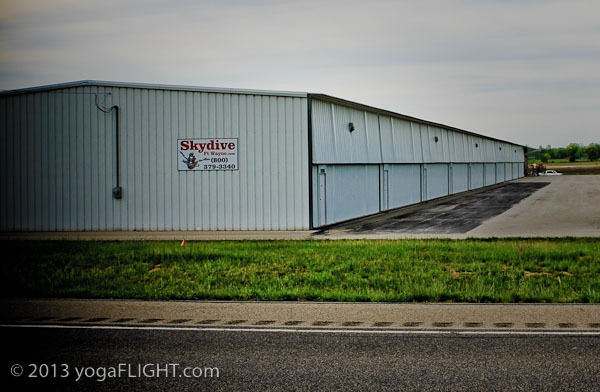 Skydive Fort Wayne. So we decided to stop and say hello. With perfect weather conditions (no wind), clear skies and a plane just having landed, we were persuaded to make an unplanned 4-way skydive. Well I’ll be …. Prettiest little random mid-west DZ I’ve ever jumped at! We introduced the previous DZ owner, Audrey, to some yogaFLIGHT. Made for a remarkable roadtrip distraction!